Grandmaster Clarence Tai Lee is a Twentieth Century Legend in the Martial Arts. He had his first boxing lesson around 1940 at the age of 12. He has not stopped training since that time, 63 years ago. He made many visists to Okinawa, studying Shorin Ryu with Chosin Chibana, Kobudo with Fumio Nagaishi, and Okinawan weapons with Akamine Sensei. He was also taught by Shugoro Nagazato Sensei and Katsuya Miyahira Sensei in Okinawa. He studied Tai Chi – Tong Long in Hong Kong with Kung Quan Wai, and Wu Tai Chi with Mr. Wai, a famous teacher from Hong Kong now living in the Bay Area. At the age of 50 he began training in Northern Chinese style with Sifu Bob Loui. From 1968 until 1993, Mr. Lee traveled to Okinawa, Japan, Malaysia, Hong Kong, China, and Indonesia on a frequent basis to further his knowledge and to train and teach. He has also traveled across the United States and Europe teaching students. His Okinawan teacher, Chibana Choshin, the originator of Okinawan style Shorin-ryu (“the small forest style”) began training with Yasutsune “Ankoh” Itosu in 1900, after dropping out of the Okinawa Kenritsu Dai-Ichi Chu-gakko (high school).He was then 15 years old. He studied with Itosu until his teacher’s demise on January 26, 1915, at the age of 85. Five years after his teacher’s death, he began teaching on his own. His first training hall was located at Tottori-bori and as his reputation spread, he was able to open up a second training hall in Kumo-cho, Naha. During February, 1954, until December, 1958, he was also the Chief Karate-do Instructor for the Shuri City Police Department. On May 5, 1956, the Okinawa Karate-do Association was formed and he was appointed its first president. Chibana’s reputation as a karate master continued to spread, not only in Okinawa but also in mainland Japan. 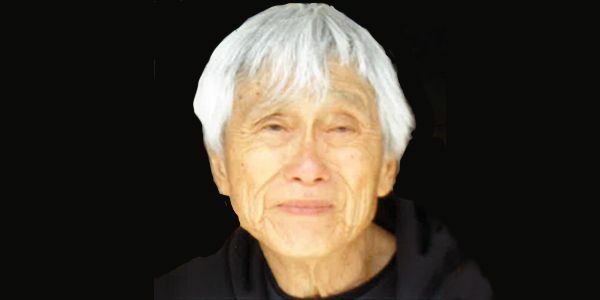 By 1957, he had received the title of HANSHI from the Dai Nippon Butokukai (The Greater Japan Martial Virtue Association) and in 1960, he received the First Sports Award from the Okinawa Times Newspaper for his over-all accomplishments in the study and practice of traditional Okinawan Karate-Do. On April 29, 1968, Chibana brought further honor to Okinawan Karate-do by being awarded the 4th Order of the Sacred Treasure (KUNYONTO) by the Emperor of Japan in recognition of his devotion to the study and practice of Okinawan karate-do. Great Grandmaster Lee was one of the very fist Americans to train with this legendary Okinawan Shorin-ryu master. Since then he has trained—and taught—some of America’s finest martial artists. His renown spreads across the globe. As a resident of San Francisco, it not uncommon to find Great Grandmaster Clarence Lee at most of the martial arts functions. Rising early, working out daily, and then sharing by teaching the serious devotees that seek him out for his vast knowledge. As a true American pioneer, Great Grandmaster Lee is a living history book of traditional gung fu, karate and kobudo. He is one of the very true martial arts masters that connect the links between Chinese gung fu and pure Okinawan “Toudi-jutsu” (the forerunner to karate). He is an original American martial arts cultural asset. In March of 2016, Grandmaster Clarence Lee passed away from a stroke at the VA Hospital in San Francisco.